May 29, 1939 to March 17, 2018: Jan's sense of humor, usually followed by her distinctive laugh, brought joy to those around her. On a dreary St. Patrick's Day morning, March 17, 2018, a little bit of fire and light left this world. Jan Haase departed, leaving her husband Warren, son Dane and daughter Beth richer in spirit for having known her but poorer for her departure. She departed this life very peacefully at about 9:30 in the morning. In the early afternoon of that same day, at around 1:30, as Dane and Warren were outside, there was a single mighty clap of thunder...a real window rattler on an otherwise calm and non-stormy day. The comment was made, "Looks like Jan made it to Heaven." She was truly the fire that warmed and comforted those around her, and the light that illuminated the darkness wherever she went. This planet will be a colder and less comforting place without her. The last two months of her life were dedicated to fighting the cancer that resided in her. Fighter that she was, that was a battle that she appeared to be winning until the very last minute, when her loving heart gave out and quickly and painlessly eased her out of this life. Jan was a loving and much-loved spouse, mother and 'grandma.' Her sense of humor, usually followed by her distinctive laugh, brought joy to those around her. She was a mountain of strength and had a deep and abiding concern for her family and many friends. Jan was preceded in death by her parents Trent (1985) and Alice (1966) Garner and by her only sibling and older sister Marcia Seibel (2010). She is survived by her grieving family, husband Warren Haase (they married on 8-4-1965), son Dane Haase, daughter Beth Haase, and her two granddaughters, Brooke and Megan Haase, as well as the many others in her extended family (no official adoptions in this group but as she said many times, "they are family to me."). Jan's working career revolved around airlines and travel. She was an 18-year employee of United Airlines and had worked for Pacific Northwest Airlines in Alaska. As well as being co-owner of a local travel agency, Woodburn Travel, Jan followed her love for singing as a longtime member of the Sweet Adeline's (Barlow Trail Chapter) woman's barbershop singing group, both as a chorus member and as a part of the quartet, "Music Unlimited." She was also a very active member of the Planning Committee of her high school class annual reunion organization (Vernonia High School, Class of 1957). 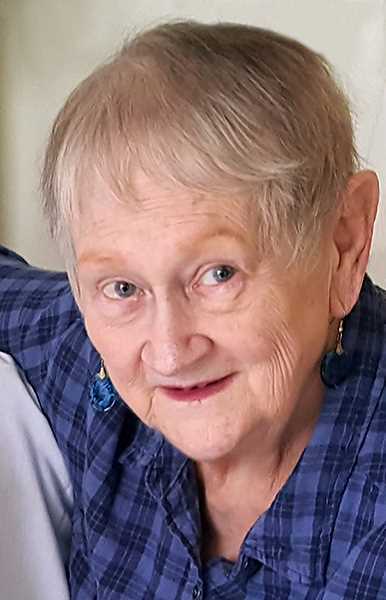 A "Celebration of Her Life" will be held between the hours of 1 and 3 p.m. on Saturday, May 12th at the Woodburn Senior Center, 700 N. Cascade, Woodburn, OR 97071 (next to the Methodist Church).